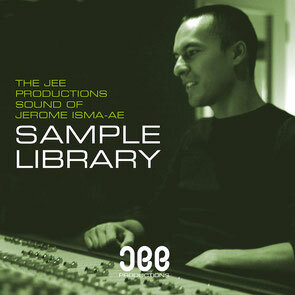 German producer, DJ and owner of 'Jee Productions, Jerome Isma-Ae, has long been a popular progressive house act, recognised for his distinguished drum patterns and rumbling basslines that combine influences of trance and techno. Now you can pick up Jerome Isma-Ae's personal drums, percussions, bass, stabs, and chord sounds, and use it for your own productions. The sample library contains the sounds that have been used in some of his most well-known productions over the last 10 years, including ‘Smile When You Kill Me’, ‘Hold That Sucker Down’, ‘Under My Skin’, and ‘Speed’, as well as remixes for Above & Beyond, Paul van Dyk, Faithless, Gareth Emery and more. Top producer Armin van Buuren said of Isma-Ae's sample library: "When you're working on a new song and you look for quick inspiration it's always handy to have a sample pack that has a no nonsense approach. This package is exactly like that and has something for everyone working in dance music. I quickly found a few sounds I wanted to start editing and use in my mix!" All samples and loops are royalty free and $5 from each sale will be donated to the WWF to save the world's tigers.